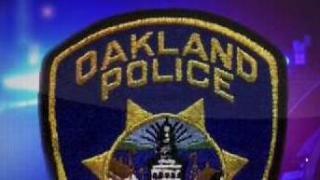 Two men were injured in a shooting in East Oakland early Thursday morning, police said. The two men were shot near the intersection of 57th Avenue and East 15th Street at about 12:43 a.m., according to police. Officers who responded to the scene found one of the victims suffering from gunshot wounds, and he was transported to a hospital for treatment, police said. At about 1 a.m., police dispatchers received a call from a hospital reporting that the other victim had walked in to their facility to get treatment, according to police. Both victims were listed in stable condition Thursday. Police said they don't think the shooting is connected to a shooting two minutes earlier in the 3700 block of Foothill Boulevard in Oakland's Fruitvale district in which a man was struck in his foot and taken to a hospital, where was listed in stable condition.